răzvan jigorea was born on august 5, 1974, in arad, romania. 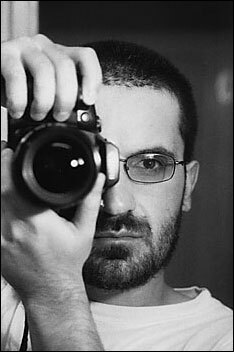 he dies at age 32 - december 7, 2006.
he has published photographs in magazines such as “dilema”, “respiro”, “nukontrast”, “seria de vineri”, and co-founded the “punctum” photocritique forum. he has done artwork for makunouchi bento's cd-covers. he has photographs in various private collections (timişoara, cluj, arad, new york).